The battle of Vimy Ridge represents a turning point in the First World War. From April 9-12, 1917, as part of the British-led Battle of Arras, four divisions of the Canadian Corps rallied and captured the German-held high ground. However, the price of victory was steep: 10,500 Canadians perished or were injured in combat. Historians see this battle as one of Canada’s most important military victories as well as a decisive element in the consolidation of a burgeoning Canadian unity and identity. 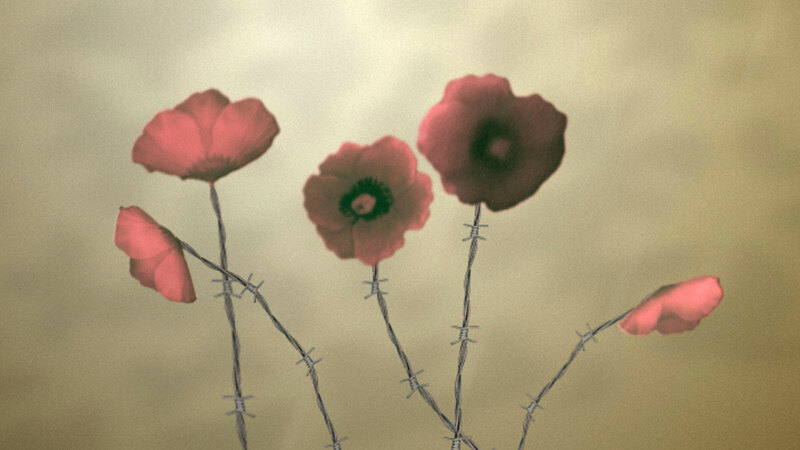 Mark the 100th anniversary of this fierce battle with these few NFB films. Curious for more? Watch Front Lines (2008), The Van Doos, 100 Years with the Royal 22e Régiment (2014) and John McCrae’s War: In Flanders Field (1998), three documentaries that pay homage to Canadian soldiers. Also check out Rose's Notebook, an educational resource that revisits First World War history through the lens of authentic archival material. This animated short by Claude Cloutier is a pictorial account of an attack on Canadian soldiers during WWI. On the edge of the battlefield, recruits are dreading the order to attack. At the signal, a young soldier leaps into a hell of fire and blood where the earth engulfs both the living and the dead. Blending archival images and Cloutier’s hypnotizing brushstroke, the film is a dazzling illustration of the futility of war. This third short film on the Battle of Arras shows artillery fire, troop movements and several explosions on the battlefield. German prisoners can also be seen in the trenches, as well as enemy bombs falling on the town of Arras. A classic World War One film.